I received a blogger award today from Crafting Misfit. 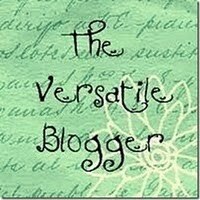 Please stop on over to her blog at http://www.craftingmisfit.blogspot.com/ and check it out!! She is very talented and has some fun projects and great idea's on her blog. THANKS AGAIN for the blogger award. I appreciate it!!! I would like to share this award with the following bloggers: Please stop by each one and check them out. They are awesome and have a lot of crafty ideas to share!! Thank's so much for the award, I'm already your follower and a really love what you do, I think you are so talented your blog is one of my favorites !!! Thank you Sherrie for the award! I am still getting to know the whole blogging thing, thanks to a great neighbor/friend who has helped me through a lot of it. I look forward to lots of creative ideas from you and others. Thank you again! Congratulations!!! I've always wondered how these awards come about. I am honored and I have passed it on!